Everyone wants a healthy attractive, smile. Daily brushing and flossing, a healthy diet and regular dental checkups are the best ways to maintain a beautiful smile and prevent minor dental problems from becoming major health issues. Serious conditions, such as heart disease and diabetes, can often be identified in their early stages through regularly scheduled oral screenings. AIS Dental Insurance provides quality individual dental insurance plans at rates that are guaranteed to make you smile! We offer you and your family a wide selection of great plans at competitive prices from some of the best Dental Health Providers. And our team of professional agents are here to answer any questions you may have and provide support when filing a claim. Similar to an HMO, a DMO plan requires you to select a primary care dentist as well as receive all dental care within your plan’s network. DMOs are among the most affordable individual dental insurance plans. These plans give you the freedom to see any dentist of your own choosing regardless if they are a member of the network or not. You can keep seeing your present dentist even they don’t belong to your network. With a PPO / PDN individual dental insurance plan, seeing a dental care provider within the network means lower costs. 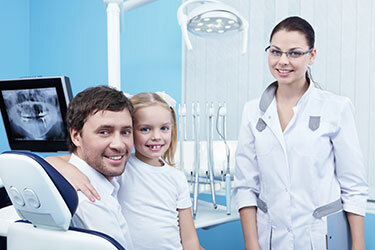 A dental Indemnity plan provides the most flexible dental coverage available. These plans allow you to visit any dentist in the United States without referral and require no copay’s up to a specified amount. They’re ideal for individuals who travel a lot. There may be special conditions that apply for getting this type of insurance plan. Regular care and maintenance are the keys to maintaining good oral health and preventing serious medical conditions that result in higher insurance costs for everyone. AIS offers competitive and flexible dental plans to individuals who want superior dental coverage for themselves and their family. Contact us for a free consultation. We can discuss your options and help you design a plan that best suits your needs and at a price that will put a smile on your face.